And why does hypnosis work faster than any other method when you want to change them? First of all, habits are patterns of behavior that you have repeated enough times to “install” in your unconscious mind. Whether it’s biting your nails, sitting on the couch watching TV and munching popcorn, driving the same way to work every day, riding a bike, or chain smoking cigarettes, all are behaviors that have become strong neurological “pathways”. It is an energy savings for your unconscious mind to just have you do the habit, than to think of something new all the time. Its actually a law of the Universe: The Law of Least Effort… I explain it fully in my “Meet Your Unconscious Mind” program. It’s just a part of pretty much every single animal’s “wiring”. And yes Mildred, we ARE animals! The main challenge is to change the habit in such a way as to trigger different and healthier, more sustainable pleasure sensors in the brain so that your body doesn’t miss out on it’s “hit” of satisfying positive grooviness…. ahhh! So part of the quit process with smoking is that we have to come up with some legitimate alternative ways to feel something similar or better than the usual habit. Without alternative behaviors to “go to,” the current habit that you want to break is simply the “default” program. You have to consciously command your unconscious mind to do something different (in a way that it understands) and then you have to reinforce and maintain that new behavior until it “sticks”. Most people attempt to use “will power” but “will” is your conscious mind. Your “imagination” is your unconscious mind. Wherever there is a conflict, your imagination trumps will. So you’ve got to work directly with this powerful aspect of YOU called your UNCONSCIOUS MIND… That’s my job. To teach you about your own mind so you can be in control. It’s really about me teaching you how to train your “animal” mind. It can actually be a lot of fun. My Labrador retriever always LOVED learning and training. So this is not an unpleasant thing at all. Taking the 20 years of experience helping people stop smoking and putting it in a powerful self mastery program really got me excited about the power we have to run our own minds, IF ONLY SOMEONE WOULD TEACH US! 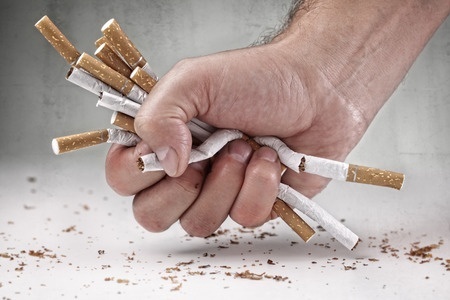 One of the main reasons I came to the “honest hypnosis” conclusion was that so many of my potential smoking cessation clients expected something miraculous and magical from hypnosis without them having to learn anything, or do anything. The honest truth is that hypnosis makes making changes easier, faster and better AND you still have to actually understand yourself enough to extinguish the old habit and retrain your neurology in a new and healthier habit. If you are serious about mastering your own mind for a change whatever you want to be, do and have in your life, learn a little bit more about your unconscious mind every day and be the first to get a shot at the incredible catalog of powerful self hypnosis courses I’m creating and releasing at a furious pace, take a moment and grab your spot in the front row of the Honest Hypnosis Transformation Team! There will be articles and videos, podcasts and hypnotic songs… available NOWHERE else but here.